With a deep love for Vancouver, Canada and Mexico, I treat every client like family. Having fallen in love with theses areas, I make it my mission to keep my finger on the pulse of the markets and constantly expand my network. As a Latino fluent in Spanish, I dedicated my entire career to sales, and have a broad buyer and seller clientele, so I can rapidly find you the perfect buyer or seller. I take great pride in understanding every nuance of the market, neighbourhoods, and real estate process to ensure every transaction is smooth and seamless whether you are buying a property in Canada or Mexico. I will expertly guide you every step of the way with patience, expertise, and a professionalism like no one else. My greatest source of pride is meeting and exceeding all my customer expectations, while getting them the best deal. Over the years, I have personally purchased, renovating, and sold countless properties, so I completely understand your needs and the process from the buyer and seller’s perspective, along with the unique needs of those seeking investment properties.Whether you are moving to the area permanently or just looking for a vacation home property, I will give you the utmost attention and respect as I address all your real estate desires. Additionally, having worked with people in-person and remotely in art sales for over a decade, I am skilled at assisting local and long distance customers. There is no stopping my enthusiasm, passion, and thrill for real estate and your satisfaction, no matter how complex the transaction or specific the housing or sales needs are. I believe in going above and beyond to help my clients. I would love to see how I can help you with your next deal. 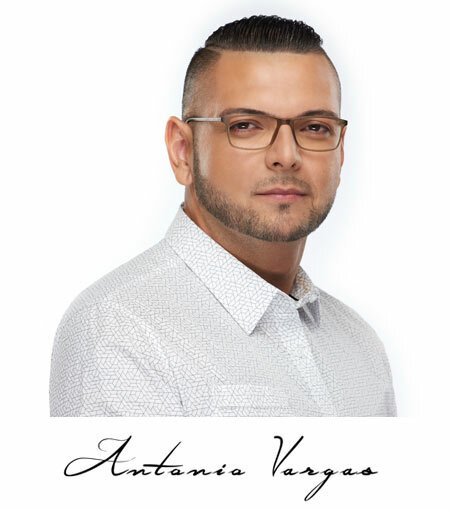 I bring a wealth of skill, experience, and professionalism to the industry, however what really sets me apart is my expertise in Canada and Mexico, command of the Spanish language, world-class negotiating skills, exceptional attention to detail, and passion for helping my clients find their dream homes. I am immersed in real estate and customer service. As a licensed realtor with over a decade of experience in marketing and sales, I am dedicated to helping everyone who crosses my path. As a technologically savvy realtor, I understand blogs, social media, free online advertising, state of the art listing technologies, and the latest research technologies to ensure that my customers have the most comprehensive and current marketing of their homes, rapid notification of new homes and pocket listings, and the best possible information to guide them through the real estate process. As an expert in the Vancouver and Mexico area markets, I am deeply rooted in the area business, social, and real estate networks so that I can find you the best home or best buyer and not only meet, but also exceed your expectation. I take great pride in understanding every nuance of every neighborhood and realtor in these areas. My philosophy has always been that my clients come first. I make sure that you can reach me 24/7 by phone or e-mail. My clients routinely complement me on my charm as they speak of my professionalism and passionate work ethic. I believe that my job is not complete until every one of my clients’ expectations have been met and exceeded and they are fully satisfied. Having a high understanding of transition- and the needs and wants that come with it, I ensure transactions are smooth and seamless. I will always be in constant contact with you to ensure you are fully informed throughout the homebuyer or selling process. I will not stop until you are fully satisfied. I will be your realtor for life. Do you have any questions about your upcoming listing? Call me today at 778-688-7011.